The VTech DS6071 accessory handset is equipped with digital DECT 6.0 technology which delivers increased clarity and enhanced security features. This Multi-line operation phone pairs up to two cellular lines and one landline with your cordless system. The backlit keypad and LCD display make for easy dialing in low light situations and the 50 station phone directory helps you keep track of your most important contacts. Additional features includes Bluetooth, HD Audio, trilingual menu support, last 10 number redial, and handset speakerphone. 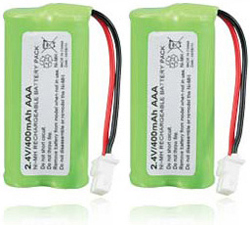 The VTech DS6071 (2 Pack) has many exciting features for users of all types. You can extend the lifetime of your VTech DS6071 (2 Pack) with the purchase of a FactoryOutletStore Factory Protection Plan. 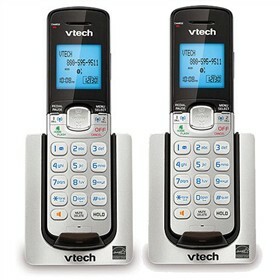 See the VTech DS6071 (2 Pack) gallery images above for more product views. 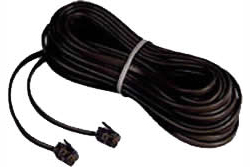 FactoryOutletStore stocks a full line of accessories like 25 Foot Black Line Cord, Replacement Battery, and VTech CPH-515J-2 Pack for the VTech DS6071 (2 Pack) . The VTech DS6071 (2 Pack) is sold as a Brand New Unopened Item.